Steve Harper has nearly 30 years of intellectual property law experience, having served as patent counsel for two global chemical/consumer product companies before coming to RatnerPrestia. Steve’s deep technical and legal experience enable him to provide effective counseling and support to clients seeking to protect and/or gain maximum competitive advantage from their intellectual property rights, shield themselves from third party claims, or secure IP rights from third parties. With a doctorate in organic chemistry and a background as a research chemist, Steve is well positioned to assist with the preparation and prosecution of patent applications in the chemical, materials and pharmaceutical arts and to provide effective guidance to clients active in those technical areas. He frequently assesses the scope and validity of third party patent rights and counsels clients regarding their options with respect to such rights. 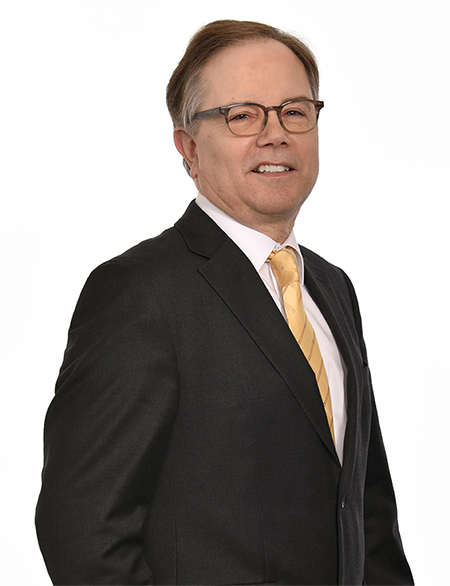 During his career, Steve has been extensively involved in negotiating, drafting and reviewing a wide variety of agreements related to intellectual property rights, such as license agreements, joint development agreements, secrecy agreements and agreements related to acquisitions and divestitures. He evaluates patents and know-how considered for licensing and or acquisition and takes the lead role in due diligence investigations of third party IP assets and liabilities. Dr. Harper is also experienced in reexaminations, inter partes reviews and other post-grant review proceedings, as well as the preparation of third party submissions and observations, with the goal of ensuring his clients’ freedom to operate. Technology areas where Steve has particular expertise include organic synthesis, pharmaceutical formulations, polymers, adhesives and coatings, composites, nanomaterials, catalysis, chemical processing and purification, surfactants, and food ingredients.